Z/2000 Able Seaman H. Readman, Nelson Battalion, Royal Naval Division, Royal Naval Volunteer Reserve was killed in action 6 June 1915 and is commemorated on the Helles Memorial, Gallipoli, Turkey. He was 20 years old and is commemorated on the Butterknowle War Memorial and the memorial plaque in St. John the Evangelist Church, Lynesack. The 8 month campaign in Gallipoli was fought by Commonwealth and French forces in an attempt to force Turkey out of the war, to relieve the deadlock of the western front in France and Belgium and to open a supply route to Russia through the Dardanelles and the Black Sea. 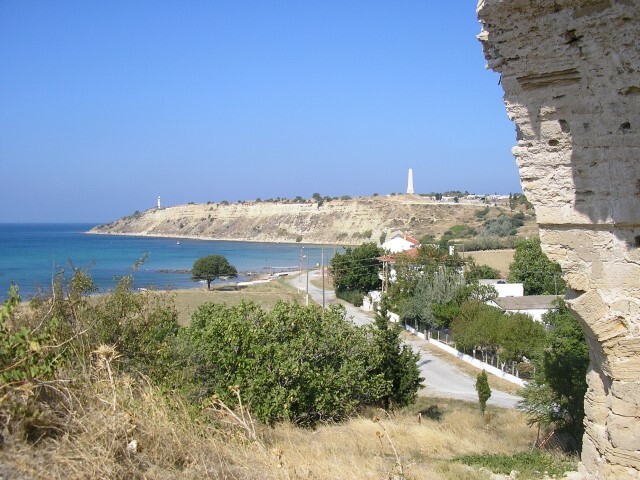 The Allies landed on the peninsula on 25-26 April 1915; the 29th Division at Cape Helles in the south and the Australian and New Zealand Corps north of Gaba Tepe on the west coast, an area soon to be known as Anzac. On 6 August, further landings were made at Suvla, just north of Anzac and the climax of the campaign came in early August when simultaneous assaults were launched on all 3 fronts. However, the difficult terrain and stiff Turkish resistance soon led to the stalemate of trench warfare. From the end of August, no further serious action was fought and the lines remained unchanged. The peninsula was successfully evacuated in December and early January 1916. The 5th Battalion, RN Brigade was part of the Mediterranean Expeditionary Force (MEF) (Dardanelles) April 1915-January 1916 which first landed at ANZAC Beachhead 29 April 1015 then transferred to Cape Helles 13 May 1915. British and French forces mounted a limited attack but failed to reach their objectives. 4 June: noon, attack commenced – The RND advance was led by the 2nd Naval Brigade which managed to reach and capture the Ottoman trenches. When the second wave, the Collingwood Battalion, attempted to continue the advance they were caught by enfilade fire from Kereves Dere to the right where the French advance had failed. The battalion, one of the newly arrived reinforcements was utterly annihilated and was never reformed. Further attempts to reach the second objective were successful but the position was untenable so within a couple of hours the RND units had retreated to their starting positions. With the main attack decided, success for the 42nd Division in the centre, failure everywhere else, Hunter-Weston ordered his troops to dig in and consolidate their positions but this coincided with Turkish reserves counter attacking and within an hour the Manchester Brigade was under attack from 3 sides so was ordered to withdraw. By the end of the battle, the new front line was a mere 200-250 yards in front of their start line. 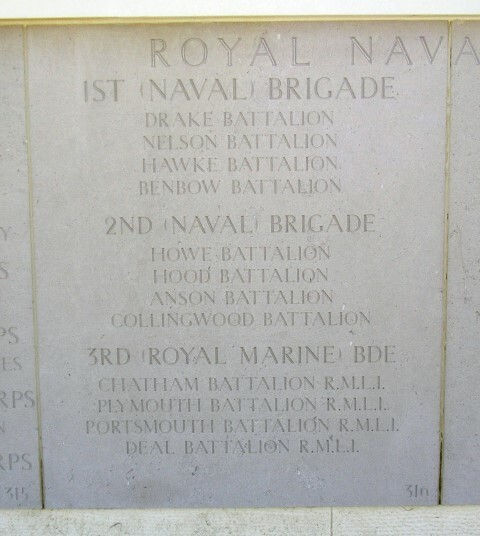 Losses to the 2nd Royal Naval Brigade were approx.500 ratings killed and included Collingwood Bn., 185 killed; Howe Bn., 95 killed; Anson Bn., 94 killed and Hood Bn., 83 killed. Second Lieutenant G.R.D. Moor 2/Hampshire Regiment, 29th Division was awarded the Victoria Cross for stemming the retreat of his battalion by shooting 4 of his own men. Able Seaman H. Readman was awarded the 1914-15 Star, the British War and Victory medals. 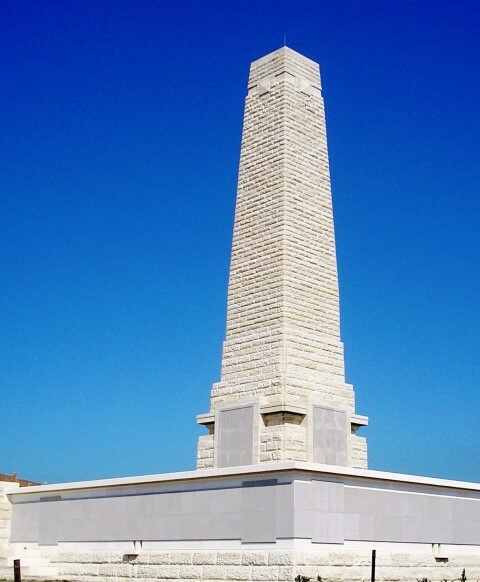 Able Seaman H. Readman is commemorated on the Helles Memorial, Gallipoli Peninsula, Turkey. It bears the names of more than 21,000 names of Commonwealth servicemen who have no known grave.